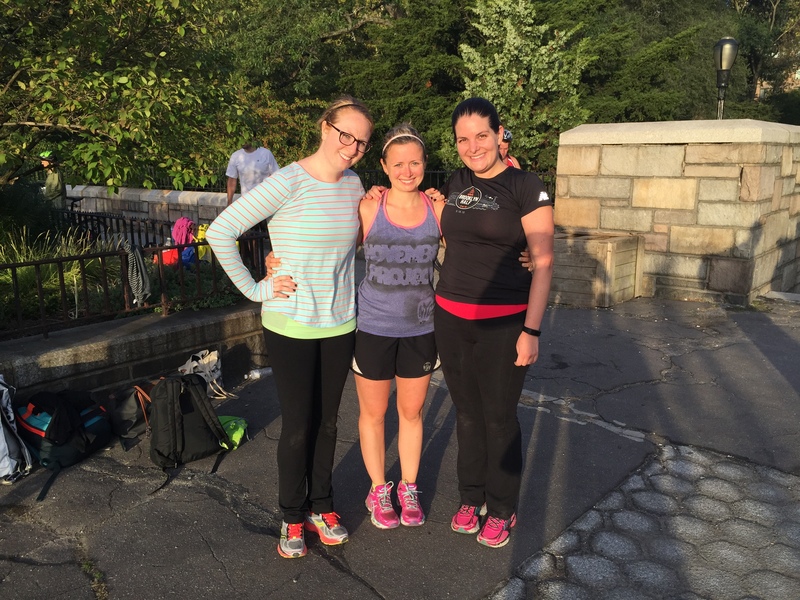 9/23/15: 5:28 a.m. and 6:28 a.m., November Project! ALL THE RUNNING! Can I have yo’ numba? Yesterday, I hit the gym for leg day, a/k/a “L” on my Training Plan Page, for the first time in two weeks, as I had taken two weeks off from all weight lifting because my body needed the rest. I returned to the gym on Monday for some upper body lifting, and yesterday was all leg presses for the quads and glutes, adduction and abduction for the IT bands, hamstring curls, and squats. I can always lift more weight after a break, but also feel sorer the following day. As such, my legs felt heavy as I rolled up to November Project NYC for this morning’s workout, knowing that I was “doubling,” a/k/a doing the 5:28 a.m. and 6:28 a.m. sessions. 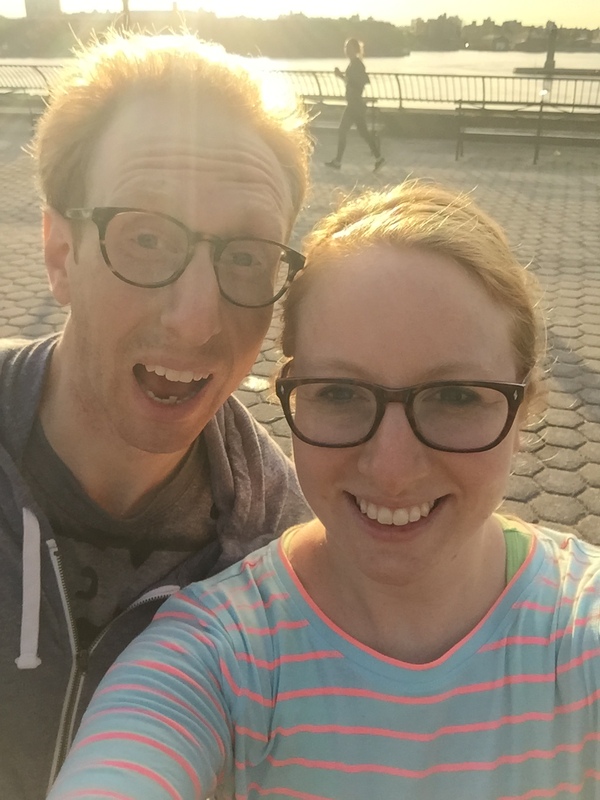 Here’s this morning’s workout: Run an outer loop around Carl Schurz Park and East End Avenue (between 1/3 and 1/2 mile) and, upon returning to the start, do “n” burpies, “n” equal to the first digit of your phone number. Then run a shorter quarter-mile loop out toward East End Avenue and back to the start. At the start, do “n” dips, “n” equal to the second digit of your phone number. Repeat for 18 minutes, moving through the digits of your phone number. Then, at minute 18, reverse the direction of the loops, and do push-ups instead of burpies, and step-ups instead of dips. Continue for 18 minutes. Repeat your phone number if you complete all ten digits. During the workout, I kept thinking about this amazing skit. Let me tell you: We ran A LOT. An NP_NYC workout usually contains 2-3 miles of running, but this morning I ran five miles during the first session, getting through 17 digits. That made for 29 burpies, 25 dips, 20 pushups, and 10 step-ups. As I’ve said before, the weekly NP_NYC workout is my anaerobic push for the week, and my heart rate shot up into the 170s. I felt great out there, and my right leg and hip felt great as well (they were bothering me a smidge during my long run this weekend, but a few days of rest, easy runs, and lots of hip and piriformis stretching alleviated the tightness). I ran Round Two at a much slower pace, getting through 14 digits of my phone number and running another three and a half miles. That equaled another 20 burpies, 18 dips, 24 pushups, and 20 step-ups. 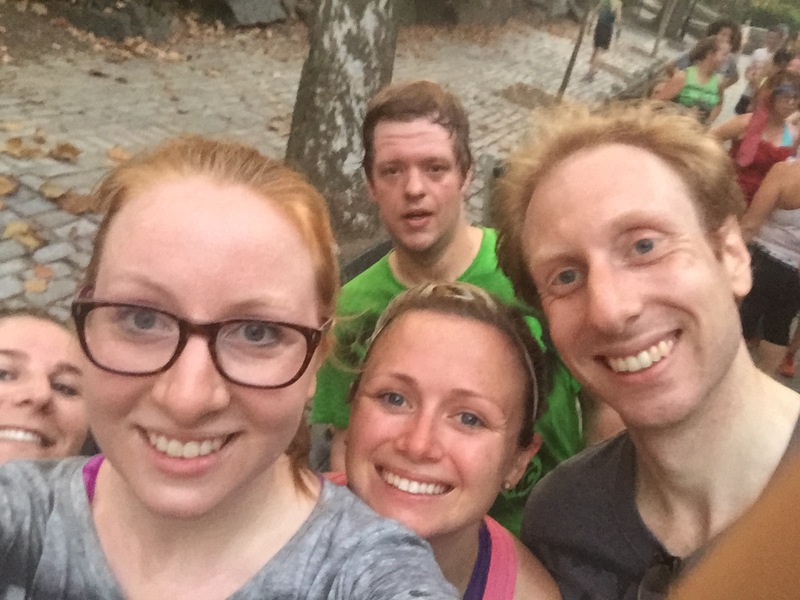 I ran the second half with John, an NP_NYC veteran who photobombed the hell out of this picture from last month. He’s a great dude and a perfect example of what I love about the NP_NYC crew: He #justshowsup and gives it his all every Wednesday and Friday. John, photobombing like a boss! I definitely did not plan to run eight and a half miles this morning, but that’s OK. My planned 8-9 mile Thursday run will likely become 6.2 miles around Central Park, followed by a well-earned rest day on Friday. Then an easy day on Saturday followed by the Bronx 10 Miler! Woot. Just a portion of the cool NP_NYC crew! She is better at pictures than me.